By now most of you should be aware of the slogan or the concept of: Reduce Reuse Recycle or the 3Rs as they are otherwise known. However you must all realize that this is neither a slogan not a nice Quote on someone’s wall. It is a way of life we should adopt if we are to save our environment, save the natural resources of our planet and deliver to our children and grandchildren a save, clean and sustainable environment for them to live in. 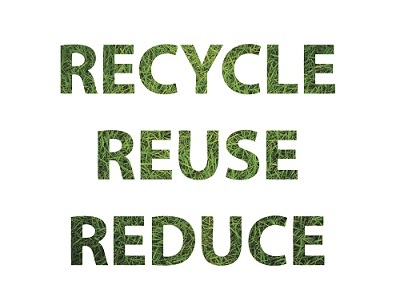 We should Reduce Reuse Recycle for a better tomorrow! The 3Rs together they form a virtuous circle, the 3Rs virtuous circle as one contributes to the other and the other compliments the next. We Recycle any unwanted staff or food or waste we have so that they can be used to form other goods or stuff that are useful for us. We Reuse empty glass jars as vases or donate old unwanted clothes to the needy instead of throwing them in the garbage to be disposed to the nearest landfill. We Reduce the waste which we throw away by using today’s unfinished dinner for tomorrow’s lunch. By doing all these and many more, we conserve resources, energy, save money and reduce the pollution in our environment. Do we have a problem? One may ask. And the answer off course is: Yes. If we do not do anything our natural resources will soon be gone since they are depreciating by the minute. Can we do anything? Yes we can help to preserve and conserve the environment by practicing and implementing the 3Rs, Recycle, Reuse Reduce, concept. How can we preserve and conserve the environment through the 3Rs concept? It is very simple. We can Reduce the usage of natural resources by recycling old and used items. In our daily life we can recycle old newspapers to reuse the paper for the newspaper of the next day. This automatically means saving trees and reducing the waste in our environment and both of these result to savings in money and energy! If you observe the items which are thrown in your trash bin at home, you will most likely end up with the following list of items which can be separated into Biodegradable and Non-Biodegradable. Biodegradable: food waste, vegetables, flowers, fruits and paper. These items can be used in a home composting process to produce the needed fertilizer for our garden. Non-Biodegradable: empty glass jars, plastics (water bottles or milk containers or plastic bags), metals, aluminum cans, batteries and light bulbs. All of these items most likely, once in the trash bin, would have ended in the landfill. We can however make an attempt to Reuse and Recycle these items. The items which could be Reused are: Plastic water bottles can be used by refilling them with water or in gardening to plant flowers in them. Glass jars can be used as vases. The items which could be recycled are: paper, glass, metal, plastics and aluminum cans. What do we need to do to save the world? We can start right away by taking actions every day. Simple actions by all can lead to great results. We start with plastic bags. We can reuse plastic bags for our shopping needs, to carry staff to and from home, wrap other material in storage rooms. We can even take more drastic measures to reduce the usage of plastic bags by paper or cloth bags instead, which are environment friendly. We can reduce the use of plastic or freezer bags by using reusable containers to the extent possible like Tupperware. What do we do with papers? We can recycle old newspapers, reuse paper from the printer as scrap paper to do our math exercises or reuse paper to wrap gifts. We can also reduce the usage of paper by avoiding printing unnecessary documents, avoid copying and in general use the online services offered by many companies or electronic forms of communication like e-newspapers. Glass containers can be either recycled by placing them in the recycle glass section or reuse them in our everyday life. Empty glass jars can be used as vases or as containers of our homemade marmalade or sweets or homemade lemonade! Aluminum cans, can send for recycling directly! Indeed the ideas around the 3Rs concept are many and may be limitless. What is more exciting however is that we can all innovate and think of many more ideas as to how to recycle, reuse and reduce waste. The important issue is to make this concept your way of living and make it part of your life. We can start buying recycled products whenever and wherever possible. This way we create demand for recycled products, we create a market for recycled products and thus enable the adoption of recycling mechanisms thus providing the spark of innovation around the 3Rs concept.